After the Lake Coleridge hydroelectric power station opened in 1914, demand for electricity for homes and industries grew. By the 1920s work to increase the generation capacity began. This involved building a second intake at a greater depth. 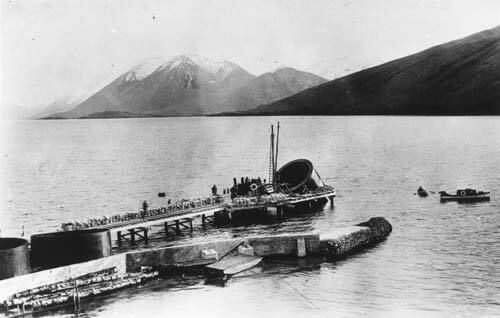 The intake cylinder is being lowered to the bed of the lake in 1925.